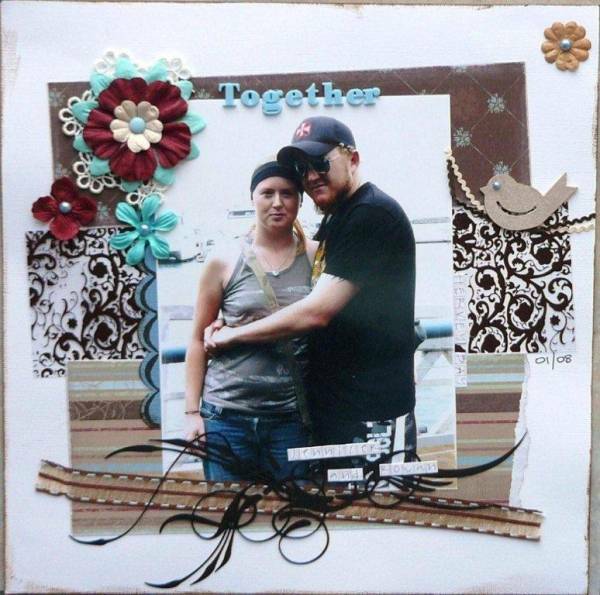 I have used the scraps from my page kit swap. It looks terrific.. I love the flourish and the bird is great. That bottom flourish is just sensational! The hint of blue looks great, too. I love the embellishments in this one..look terrific against the white. Such a pretty page Jan... I love the flower cluster. Well, the scraps have worked beautifully. I love the ricrac under the bird and another awesome black flourish.